Visit our website for more information on the Microsoft Excel 2013 CourseCARD. Microsoft Excel has in record time become one of the most popular programs in both the corporate and small business world, as well as for home use. However, beginners experience moments of panic when delving into the inner workings of this versatile application. Excel offers thousands of features so creating a system of understanding how to add onto the quick access toolbar, what a ribbon is and remembering keyboard shortcuts is vital to the overall success of learning Microsoft Excel. That is why Labyrinth Learning is pleased to offer Microsoft Excel 2013 CourseCARD. Instead of students laboring over physical note taking, frequently distracting them from the next topic being introduced, our Microsoft Excel 2013 CourseCARD provides students with a quick and easy to understand reference guide. More than just a step by step list that students follow to solve a problem, CourseCARD explains how Excel functions and details the necessary features and tools so each worksheet can operate properly. There are also basic and advanced topic sections along with a top productivity tips and solutions page. The basic topic section includes tips on entering information, formulating data and managing worksheets, while the more advanced section discusses some of Excel’s newer features, including sparklines and PivotChart field buttons. The solutions page is a quick reference guide on customizing methods, creating specialized templates and worksheets and how to open older versions of Excel. For information about our additional teaching aids, please contact us at Labyrinth Learning today. Many businesses are continuing to use Microsoft Excel for accounting. This user-friendly program is perfect for everything from invoicing to bookkeeping to inventory spreadsheets. 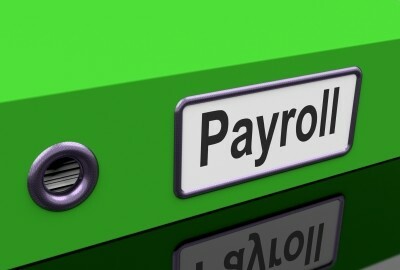 Many people have started using payroll accounting in Microsoft Excel because of its simple template setup. This template allows them to easily update and access payroll records and information. While there is a time investment at the beginning, the payoff is its ability to quickly determine the amount of revenue going toward human resources and the ease with which payroll accounting personnel can enter all necessary data. Labyrinth Learning offers a complete package of Microsoft Excel 2013 textbooks, as well as online teaching tools for students beginning to explore this versatile program and those seeking to learn the more advanced features. We also have all three levels of the Microsoft Excel FastCourse available. All our Microsoft Excel textbooks include end of lesson exercises which can be worked multiple times until the student feel comfortable with the tasks. The various online teaching tools include video tutorials, instructor assessment materials and specialized training tools. For those planning on using payroll accounting in Microsoft Excel in a more corporate setting, these textbooks and online tools are approved for the Microsoft Office Specialist certification examination. Your students will be on the fast track to success when they learn the accounting features of Microsoft Excel. For more information on Microsoft Excel and other interactive teaching tools we have available, please contact us at Labyrinth Learning today. Some subjects need to be approached with well-defined study guidelines in order for the student to adequately understand and retain the information. While learning styles do vary, the below structured approach has consistently provided a large majority of students studying accounting with optimal results in both material comprehension and retention. Have them read all assigned material before each class. This way they already have a general overview of what will be taught that particular day. Be responsive to their questions. Remind students to come to each lecture prepared with the required tools, including calculators, notebooks, textbooks, laptop, or tablet. Instruct them to take detailed notes on any topic you have previously focused on, especially those subjects you know aren’t discussed in length in the textbook. Make sure you’ve provided them with a safe environment to ask questions — this is important in a student’s learning experience. Talk to the students about reviewing their notes as soon as possible. When studying accounting, comprehension is a major concern, so this tip allows them to fill in any blanks while your lecture is still fresh in their mind. In addition to reviewing notes, online videos, and PowerPoint presentations — have students rework some of the more difficult problems. If the textbook offers online sample quizzes, let them take advantage of this study aid. Please contact us at Labyrinth Learning for additional educational assistance. 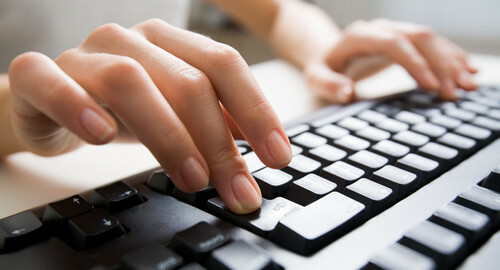 At the most basic level, computer literacy means being able to navigate universally utilized software programs, such as the Microsoft Office Suite, knowing how to type in a reasonably quick manner (QWERTY style preferred! ), and understanding how to use printers, scanners, and other basic computer accessories. Then there are the tricks that take your computer literacy to the next level; adding symbols with Alt codes is one example. In a basic computer course, students learn to insert codes by using the editor feature of the program, scrolling to “insert” and then selecting the code they want to use. This is fine for the very occasional code, but what about the symbols you use on a regular basis? Perhaps you’re writing about a product that is trademarked™, you work with products or scenarios that are temperature specific°, or you incorporate foreign words that use accent symbols to enhance their pronunciación. In these cases, the Alt codes are your most efficient choices. To insert an Alt code (on Macs, use the Option key), you simply place the cursor where you want the symbol to appear, and then press Alt+Number Code. Voila! The symbol, or letter with an accent, will appear. Visit Labyrinth Learning to review textbooks that will enhance your students’ computer literacy. Every time students or employees take a course on Microsoft Excel 2013, they learn valuable skills that increase their efficiency. Some of these skills are simple, such as copying and transferring formulas from one spreadsheet to another. However, there are more advanced functions that make Excel even more valuable in the workplace. Creating drop down lists. Using advanced spreadsheet functions, you can create a drop down list. Taking advantage of drop down lists limits the amount of entries that can be entered into a specific cell to a pre-determined list of entries, providing a higher level of quality control. It also saves time on data entry and prevents errors. Conditional cell formatting. We would wager most regular Excel users don’t know how to take advantage of this feature. Conditional formatting allows users to create specific formatting rules, depending on the information or data contained in the cell. For example, you may want number higher than 1000 to appear in bold, or negative dollar values to appear in red. Cells can have up to three different formatting conditions. Goal Seek feature. Excel ‘s Goal Seek feature works in the opposite way of formulas. You enter the goal you are trying to attain, whether it be total retirement earnings, or determining what it would take to decrease your total business loan payments, Goal Seek will show you what’s required to get there. Labyrinth Learning has a wide range of textbooks and learning tools to help your students and employees master introductory and advanced features in Microsoft Excel 2013.
Who says looks don’t matter? The human eye has a natural inclination for proportion, color, and balance. If you go crazy using bells and whistles when creating your Excel charts and graphs, they can end up being difficult to read or decipher. Here are tips to make your Microsoft Excel 2013 charts and graphs pop. Get rid of the gridlines. In theory, gridlines are there to help your eye track specific data. In reality, they create the equivalent of visual “background noise,” which mucks up the total effect and is more of a distraction than a help. Your charts will have more impact without them. Simply click on any gridline other than the top one (that will select the entire plot area). Then hit Ctrl-1 to access the formatting box. Select line color > no line, and – viola! It’s easier on the eyes. Legend relocation. Tired of your chart legends on the right? They always make things appear off center. You can easily relocate the legend to the top or bottom of the page. Click Ctrl-1, then find the Legends category and choose Positions (called Placement on Macs). It’s much cleaner. Sort your data. Keep the chart looking orderly and streamlined by sorting data in descending order beforehand. Once your data is sorted according to how you want it to appear in the chart, a change in data will automatically be reflected in your chart. Use Labyrinth Learning’s Microsoft Excel 2013 software and textbooks to help your students’ Excel charts and graphs pop. If it has been a while since you attended a brush-up course on Microsoft Excel, you’ll know this feeling; you leave the seminar inspired. You can’t wait to get to work and use the new tricks at work, but over the course of a few weeks, you’re lucky if three or four of the new shortcuts you learned make it into your daily rotation. Sound familiar? Here are some simple Microsoft Excel 2013 tricks you can share at your weekly meeting to keep coworkers up to speed. Select All. 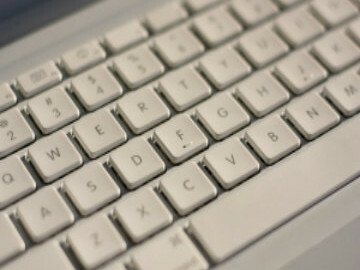 Quick keyboard commands can shave seconds, which quickly add up to minutes and hours, off of your everyday computer tasks. [Ctrl]+A can be used to select all of the data in your Excel spreadsheet at one time. It also works in Word and other Windows applications. Copy/Transfer Formatting. Here’s a trick you’ll really thank us for. The Excel Format Painter Tool is often neglected, but not for long. When you want to transfer the cell formatting (not formula), simply select the cell and right click. See the paint brush in the bottom-right corner? Select it. Then click on any other cell(s) and the identical formatting will be copied. Display formulas. When you hit [Ctrl] + ~, all of the formulas in a spreadsheet will be visible, allowing you to edit/tweak them as needed. Labyrinth Learning has a host of Microsoft Excel 2013 products that can teach your employees basic and advanced skills, or can be used for a FastCourse refresher at your next training seminar. When you are dealing with a spreadsheet all day, you have to deal with hundreds of calculations, thousands of cells and dozens of pages. Throughout the day clicking through a series of menus and finding the right buttons can add up to a lot of extra time. Luckily all of your common productivity programs have built in shortcuts to make quick work of your work. Here are just a few Microsoft Excel 2013 keyboard shortcuts that can boost productivity in your workforce. [ALT] + ENTER. Insert a new line in a cell. As any introductory student to Excel knows, pressing Enter will take you directly to the next cell, but ALT+ENTER will create a new line within the same same cell. [CTRL] + [ ; ] and [CTRL] + [ : ]. Insert the current date and/or time. When you hit the CTRL + Semi-colon and/or CTRL + Colon, the current date and time will appear, respectively. This is significantly faster than alternative formatting methods. [F11]. Create a chart. If you want to create a chart from a range of data, simply select the data and hit your F11 key. It’s like magic. [SHIFT+F2]. Add a comment to a cell. Wish you could add a comment to a cell quickly? You can when you press the SHIFT, and then the F2 key. [CTRL+F2]. Print Preview. This keyboard shortcut works in both Microsoft Excel 2013 and Word, and gives you an instant view of what your sheet will look like if you need to print it out. Labyrinth Learning offers multiple levels of Excel course materials so your students can utilize efficient, time-saving keyboard shortcuts.